Mino Raiola went viral this week for his bizarre tweets in response to Manchester United legend Paul Scholes. 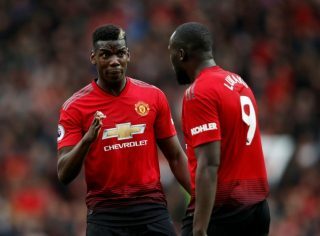 Scholes has been critical of Raiola’s client Paul Pogba and it reached an extent that words were exchanged on social media, something the former United midfielder is not a member of. Is this also an attempt by Raiola to rubbish the fact Sir Alex Ferguson was a leader? Or, Roy Keane for the matter? Besides, Scholes was only doing his job as a football pundit by casting his opinion on Pogba. It was telling that many supporters wanted Pogba to speak out about his agent’s claims, while Scholes’ reply will be intriguing. However, one person who has involved themselves is Peter Crouch who also writes a column for the Daily Mail. Crouch wrote: “I know Scholes has been critical of Pogba but I’ve been thinking about what it would be like if I was in a similar position. 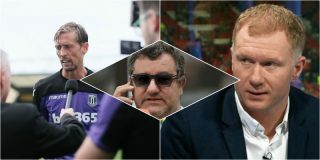 “Put it this way, if my agent had started speaking in the way Raiola did, I can promise there would have been a phone call to put an end to it. “You don’t get involved in public rows with club legends. You don’t get involved in public rows full stop, but with someone of Scholes’ stature, it’s almost impossible to win. “We don’t know what is going on behind the scenes but this isn’t good for a club like Manchester United. “United, in my view, have always been above petty disputes and seeing Raiola speaking about someone such as Scholes in that way doesn’t help anyone. 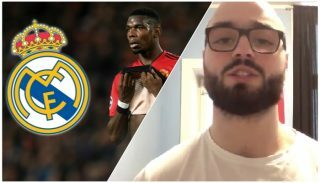 Pogba’s performances at the World Cup and in the Premier League opener against Leicester City showed everyone what he is capable of, but since then there has been nothing but drama. Surely the player and his agent realise they’re only making matters worse for themselves by going public with this row? But it shouldn’t surprise anyone to see Raiola behave in such a way. Perhaps he should get advice from Richard Keys.